I have a confession to make. 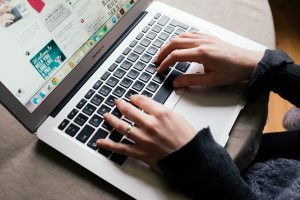 I have a Pinterest board full of healthy freezer meals that I had fully intended to prepare before my toddler was born – I spent hours researching how to bulk cook and what foods would be great for my postpartum recovery and saved them all, only to not prep a single dinner before we brought him home. Sure, we had a few trying nights where dinner didn’t quite happen, but we had a newborn baby who didn’t care what we ate, so takeout could be ordered, salads could be thrown together or a frozen pizza could be eaten while we took turns bouncing a baby. My hopes are maybe a tad high. 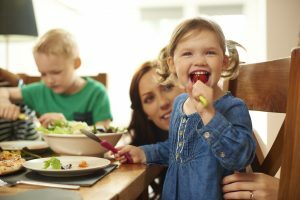 But preparing to bring a new baby into a house where getting a healthy and family-friendly dinner onto the table every night is a whole new ball game. This time it wouldn’t just be a luxury to have a freezer full of meals ready – it’s a necessity. Luckily for me, I had those recipes all saved, I know what my family likes to eat and preparing dinner for a three-year old means that our tastes have gotten a touch more basic these last few years. But that doesn’t mean we need to eat the same old freezer meals! We still like to eat healthy, and incorporating iron-rich foods, greens and protein is important for growing bodies and new moms. When friends and family have asked me what I need for this new baby, my answer has been easy. We’re stocked on pretty much everything we could possibly need – except dinners. If I could just not think about cooking for the next 6 or so months, that would be fantastic. With these easy and family-friendly meals and a chest freezer in the garage, I’m halfway there. I promise if you deliver any one of these meals to a friend with a new baby, you’ll achieve superhero status in no time! I could go on and on about these enchiladas from Cookie and Kate, but I’ll let the words of my neighbor speak instead, after I dropped a tray off to welcome her new babe! I truly believe the secret here is in Kate’s enchilada sauce. It is smoky and light and delicious and gets all of its flavor from spices and not just tomato sauce. 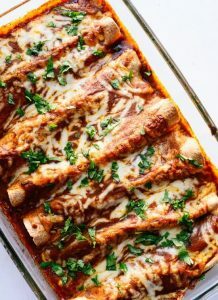 We also prefer our enchiladas loaded with black beans and spinach (+ whatever veggies we have on hand) and this is a great recipe that you can pack lots of veggies into. I’ve made several trays for freezing and each time I’ve made extra sauce to freeze separately, so when we run out of premade enchiladas, I’ll have one less thing to do by having sauce ready to go. I started my kitchen-nesting by asking friends to share recipes that they loved for freezing. As soon as this recipe was shared, I knew it was for us. I gravitate to recipes that call for an extra handful of greens and I try to throw them in wherever possible. When dropping off meals for friends, I often go vegetarian, knowing there are many different preferences for meat. I love that this recipe includes the suggestion for adding mushrooms instead. Mushrooms are loaded with minerals and B-vitamins like riboflavin, niacin, and pantothenic acid, which both give energy and help build red blood cells – two things in high demand for new moms. 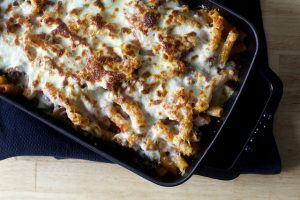 Also, since both basil and oregano are rumored to be labor-inducing herbs, we may or may not be eating a lot of baked ziti as we wait for baby to arrive. 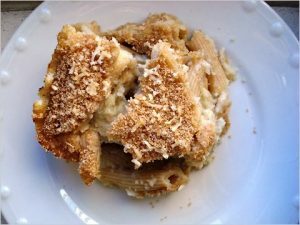 The thing that surprises me about many “sneak in the veggies” recipes is that the amount of vegetable added is usually negligible, and then masked with cream or cheese or some other ingredient that renders anything healthy about the dish, anything but. Even other “cauliflower mac” recipes tend to just be cauliflower smothered in cheese sauce. But not this one. Mark Bittman’s Creamy Cauliflower Mac manages to use less than one cup of cheese total, pureed with chicken stock and a whole head of cauliflower. It makes such a light and delicious sauce that the whole family scarfed it, and my toddler never questioned its status as the beloved mac-and-cheese. I do load this one up with whatever extra ingredients we’re feeling like that night – extra spinach, fresh or sundried tomatoes, chopped basil or even classic frozen peas. This is a fantastic option for taking to friends with a house full of little kids, and no parent is going to let their kids in on your little secret – but they will surely love you for it. This is one of those recipes that just has my heart. First all, Instant Pot, enough said there. But more importantly, I have an extra special place for Danielle Walker of Against all Grain. Like myself, Danielle is a member of the ‘club no one wants to be in’ of moms that have lost a child. I followed her story as she awaited the birth of her daughter Aila just seven months after I lost my own daughter Layla, and grieved with her as she too had to say goodbye. Two moms who found a bit of solace in cooking, and her recipes have always touched me knowing we share that connection. This Thai Chicken Stew isn’t something I cooked until the last year, when we returned from three months in Thailand. By cooking this stew, I can transport myself back to when we traveled around the world with our toddler in tow and dream of the day when I’ll have the same confidence to do that with two. One of the best things about delivering a big container of this stew to friends is that it’s out of the ordinary meals to drop off. 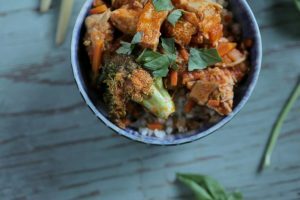 Just when they’re getting sick of pasta and cheese, you can swoop in with this delicious curry to brighten things up – just be sure to check in on how much spice they’re ok with and adjust the red curry paste accordingly. I love pulling a container of curry out of the freezer and heating on the stove while a fresh pot of brown rice cooks and dinner is on the table in less than 20 minutes. I can’t help but close this list out with another recipe from Cookie and Kate. 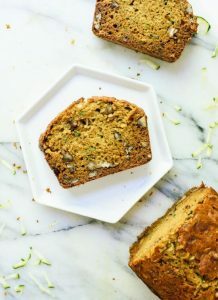 I spent too many years looking for the perfect zucchini bread recipe that I could feed my toddler guilt-free – and then I found it. I could be embarrassed to admit that we bake both bread and muffins from this recipe almost every Saturday morning. The bread goes into the freezer and the muffins are all polished off by Sunday, but no, I don’t feel bad about it. This is the first white-sugar-free, whole-wheat quick bread recipe I have found that is fluffy and soft and sweet enough. Sometimes I do half banana or add pumpkin, but right now it’s October and I’m swimming in zucchini. I often add a teaspoon of flax seed, which for nursing moms, would qualify these as milk-friendly muffins. Since they’re also the perfect one-handed snack, tucking a batch of these muffins or a loaf of bread in with whatever dinner you drop off is an extra treat that will make the whole family happy. Food may not be on the top of everyone’s list of needs when there’s a new baby in the house, but it’s at the top of mine. What’s your favorite dish to give (or receive?) when dropping something off for a friend?